Which car for three child seats? 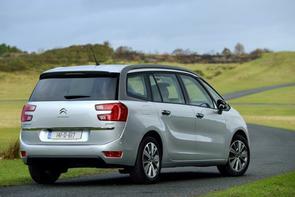 We’re going to direct you to one vehicle – the Citroen Grand C4 Picasso. An excellent large people carrier, there should be plenty of 2013-2016 examples of it for sale and they can seat three across the middle row.